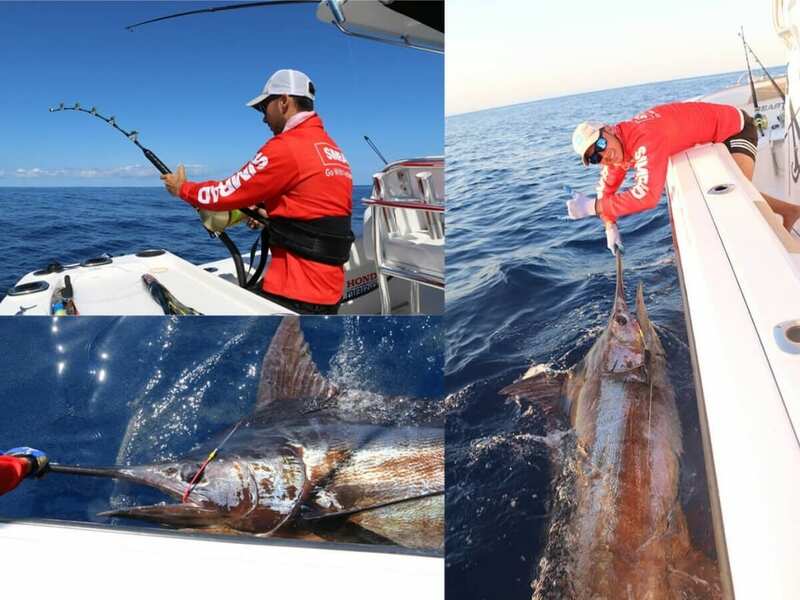 Dane and his crew were fishing 37kg stand up tackle to subdue the Billfish, consisting of a Shimano Tiagra 80W and Shimano Tiagra Ultra series rod. Blessed with glorious conditions to be trolling the shelf and the fish hot on the bite, Dane and his crew scored a cracking 7-6-4! Landing 3 blue marlin and 1 stripe marlin. With active fish, the bites were mental often coming in hot to destroy the teaser before nailing a well-presented lure. One of Dane’s rigging gear of choice is the Optia Ball Bearing snap swivels as they are strong and reliable, designed to keep you connected to that potential fish of a lifetime! Like to catch your own Marlin but not sure where or how? Drop into one of our many great stores across Australia, we love to share our fishing expertise and talk tactics with experienced anglers, or help the less experienced catch more fish.